Hosted Holloway, London, our FREE taster session will give your children everything that they need to see if fencing is the sport for them. From learning the basics of fencing footwork to teaming up and participating in a real life duel using Olympic equipment, we’re sure that by the end of the session, they’ll be keen for more! We’ve worked with hundreds of school children (both in lesson time and out of hours clubs) to help improve their confidence, resilience, discipline, agility and overall health through teaching fencing. We’ve even seen the quietest of children grow to become fencing champions - and nothing makes us happier than to see the positive impact fencing can have in the lives of kids. 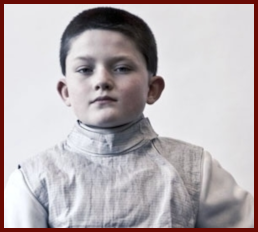 Fencing has huge benefits to all ages, but especially young children. Alongside the health and fitness gains, fencing uses quick decision-making skills and strategy to ensure a win over an opponent, this has been shown to enhance a child’s cognitive skills, resilience & confidence. Emily has won numerous National Championships. Fencing for ENG U15 squad and is currently on the GBR U17 & U20 Squads. Aidan fenced for U15 ENG, GBR U17 & U20 Squad. He is currently studying at Cambridge. Ceclia fenced for ENG U15, GBR U17 and went on to study at Oxford. Fill in the form below to get in touch with the team and we’ll arrange your free taster.